Gigi being the wonderful loving grandma she is came to Abby's rescue and sent her a little tiny care package containing a pink puppy. 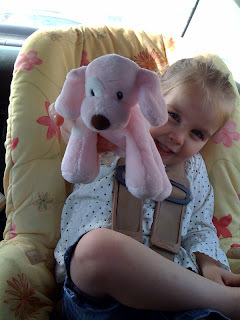 Abby was super excited to open her package and so very happy to have her pink puppy back. So thank you so much Gigi for Abby's new pink puppy!